Khrisna Logistics is a visualization of world-class logistics company which aims at providing integrated logistics services. With more than 25 years of experience in logistics industry and has a trustworthy reputation in providing service of excellence, Khrisna Logistics has been a partner of business of medium enterprises, overseas buyers, manufacturers and that sort of things in logistics needs. Khrisna Logistics was established in 1991 with headquarter in the heart of Kuta, Bali - Indonesia. A year later, due to rapid business growth, a new branch in Ubud's busy district was established. In 2002, it built a cold storage facility at Ngurah Rai International Airport which was fully equipped with modern technology to fulfill the client's needs. To improve its professional handling, packaging and warehousing facilities, it built five more new warehouses with a total space of approximately 5,000 meter square in 2004. 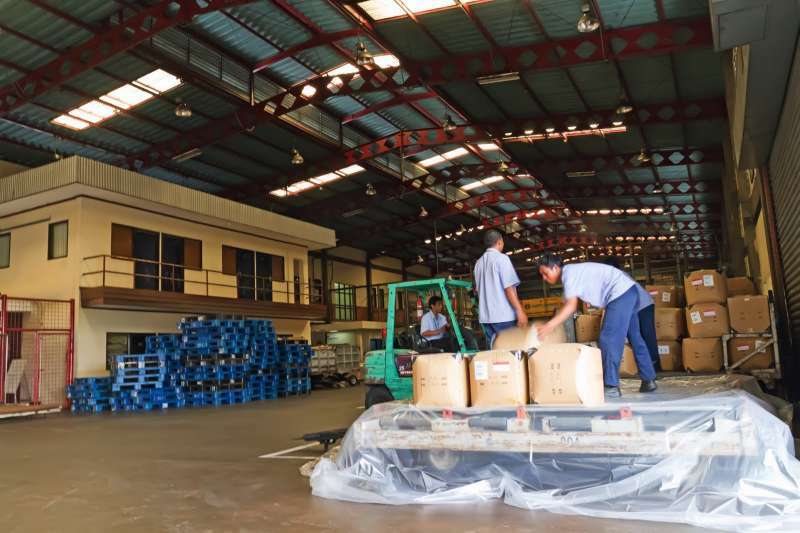 The warehouses are aimed at ensuring easy Logistics loading and unloading as well as minimizing the risk of damage. In 2005 Khrisna Logistics built another large warehouse near Benoa Harbour with a total space of 1,500 meter square to meet its clients' demands upon warehouse facilities. Khrisna Logistics received the IATA Award as an Accredited Logistics Agent in 1996. In the same year, Khrisna Logistics is known as a Logistics Agent to all International Airlines from Denpasar hub. With the concept of one stop export-import handling, Khrisna Logistics is renowned as one of the leading freight forwarding companies in Bali for both air and sea freight. Since 1998 Khrisna Logistics has been awarded as the Best Logistics Agent both in terms of performance and valued supports. Khrisna Logistics has also received the Golden Award from Malaysia Airlines, Cathay Pacific, Continental Airlines, and the countless awards in the following years. In 2016, Khrisna Logistics remarkably succeeded by achieving AEO certification. With its remarkable achievement in the last two decades, Khrisna Logistics has been appointed to be one of prestigeous Bonded Logistics Centers in Indonesia which was inaugurated by Indonesian President Joko Widodo on Thursday March 10, 2016 as part of Indonesia's second economic stimulus package that was unveiled on 30 September 2015 by Indonesian Government. These bonded logistics centers aim to curtail the country's notoriously high logistics costs which makes businesses in Indonesia less competitive and the general business climate in Southeast Asia's largest economy less attractive. Khrisna Logistics's motto In Quality We Trust reflects our missions to provide quality services in terms of speed and accuracy.